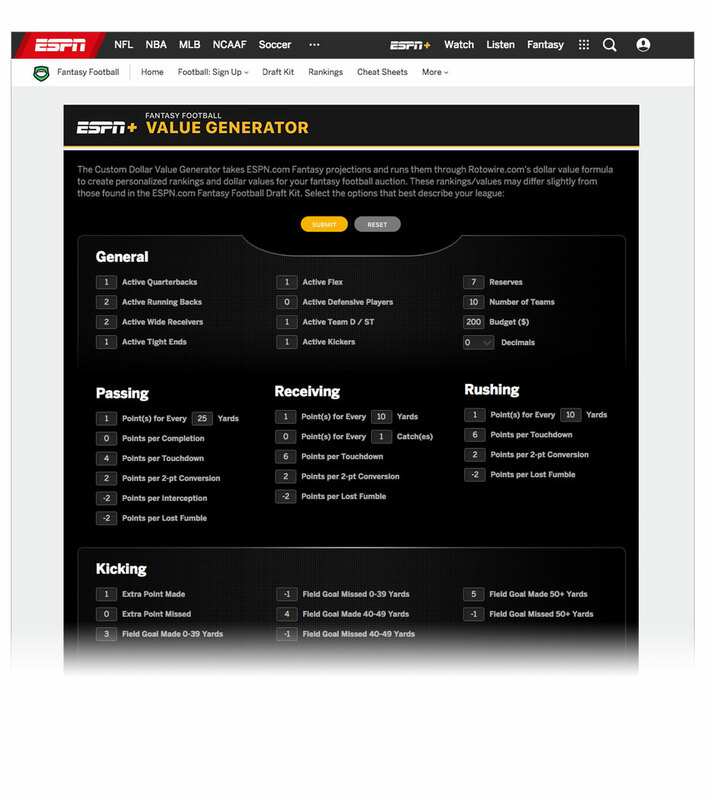 Enter your roster and scoring system for custom dollar values. Calculations use the latest ESPN fantasy projections. Results include projected stats and points totals. Print your results or copy and paste them to a spreadsheet.